"The operation is not allowed in the current connection state of the host." I'd rather have a proper, permanent fix to this intermittent issue. If you've located a fix, please let us know by commenting below. But for now, at least I have a non-disruptive workaround. Well, the hosts and VMs stay up, but the sysadmin(s) may be a bit annoyed when you bump them. Sounds familiar? 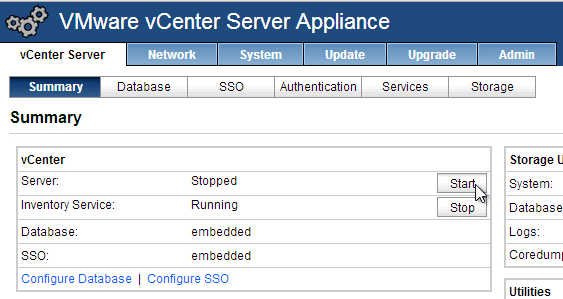 So I browsed into my vCenter Server Appliance, and restarted the vCenter Server, all set, powered the VM up just fine this time. So apparently this issue still strikes occasionally. So I simply restarted the service. 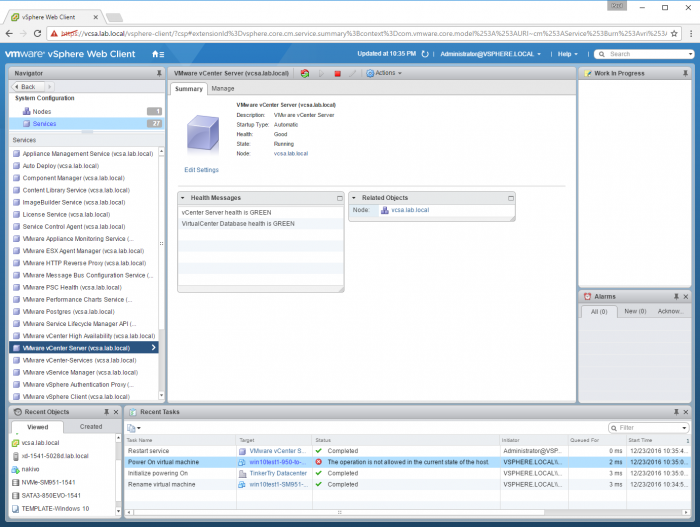 This can be done with the vSphere Web Client UI. 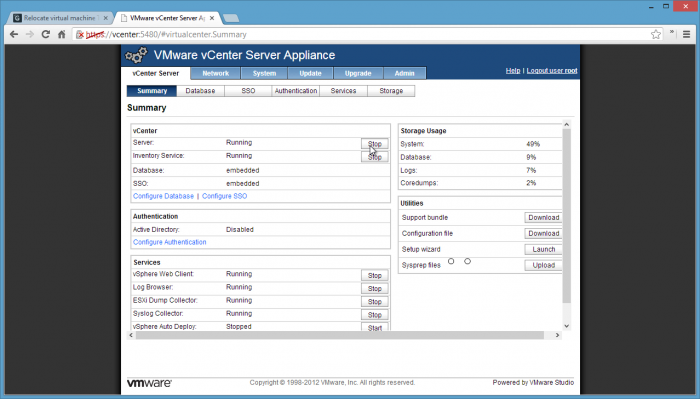 Click on the tiny house icon > Administration > System Configuration > Services > VMware vCenter Server, then click the Restart the Service icon at the top, seen pictured below. I have now recorded a video of a way to fix this on ESXi 6.5 Update 1, using only the (HTML5) vSphere Client.